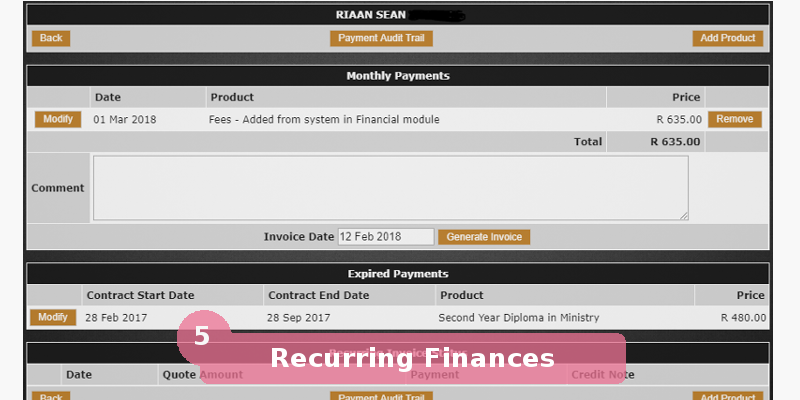 The EduFin is an online financial software module manages all billing options for college tutition fees, from early bird to late registration options. 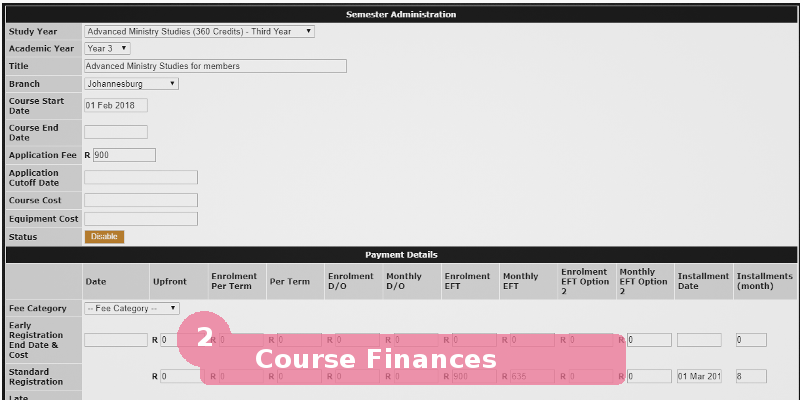 Students payments are allowed upfront or monthly using either EFT or credit card options. 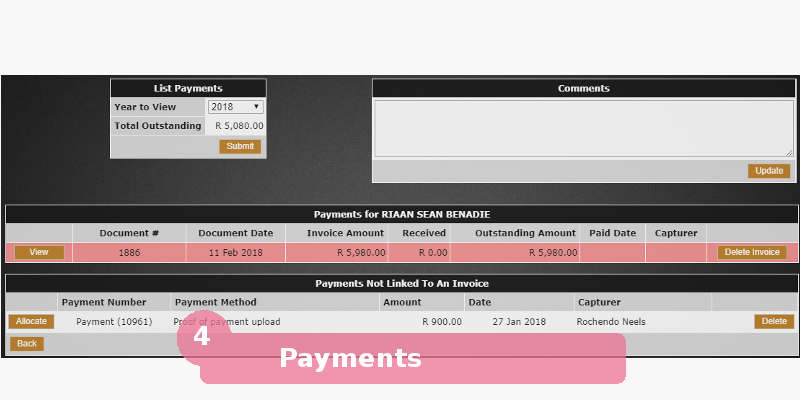 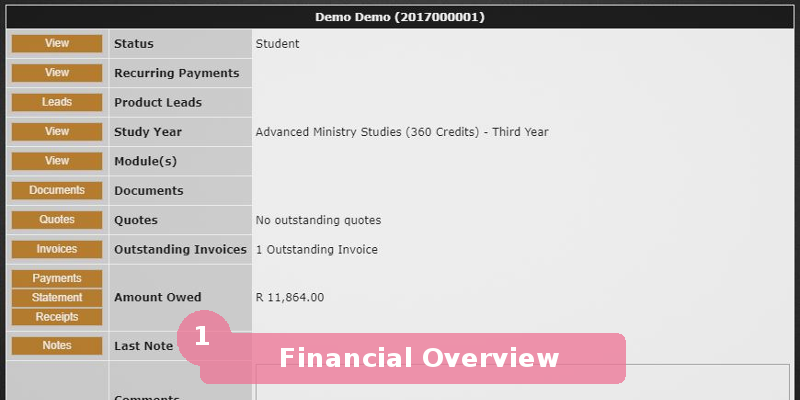 The EduFin online financial software module tracks all students fees, while students with outstanding fees can be automatically locked out of the system. 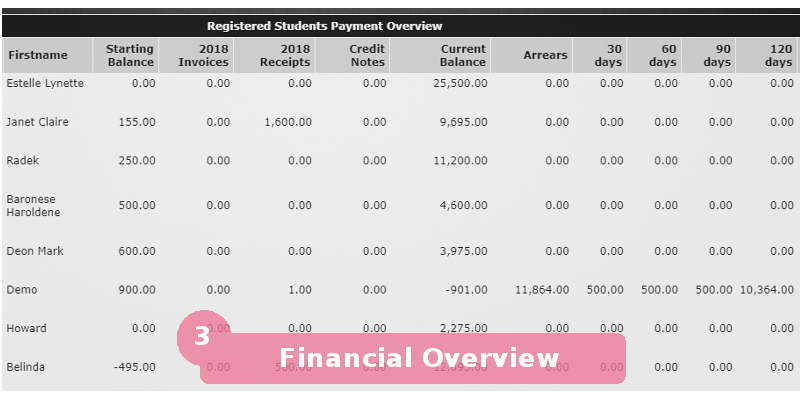 By adding the EduApply software, you can allow students to select their payment option upon registration.